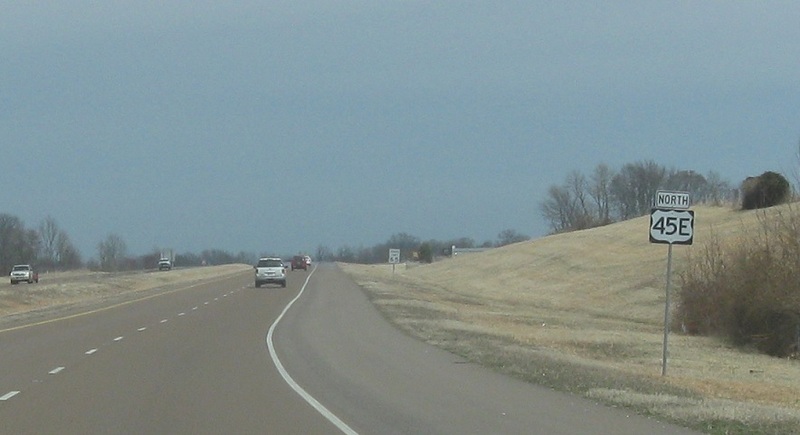 Reassurance shield after the SR 89 interchange. A couple miles later, we’ll enter Martin, home of occasional Boise State cream puff opponent UT-Martin. Reassurance shield as we enter Martin. Reassurance shield as we approach some highways. 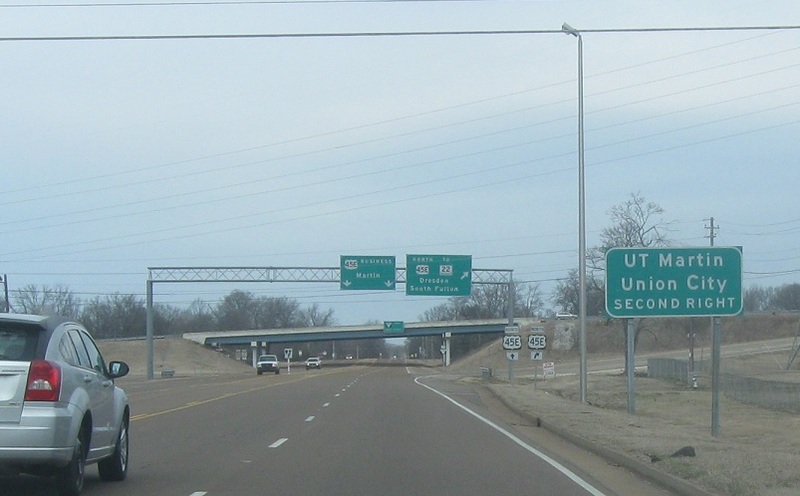 As we approach a bunch of routes, make the second right onto Tennessee 216 for Union City and UT-Martin. 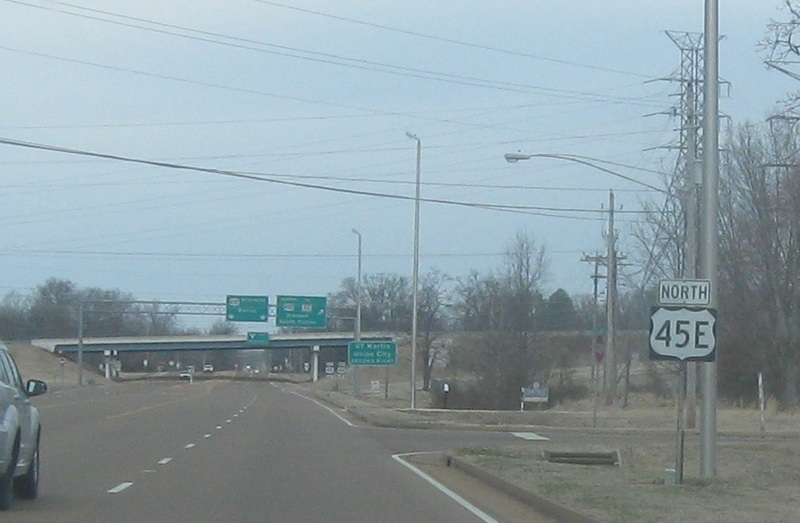 45E turns right to head onto a bypass around town. 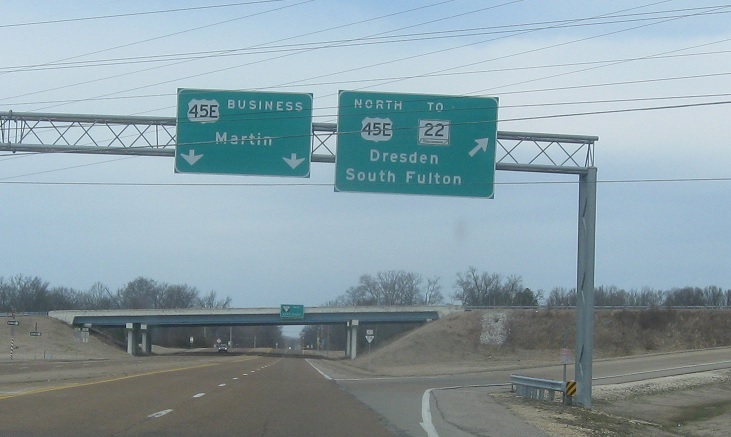 Stay straight for 45E Business into downtown Martin. 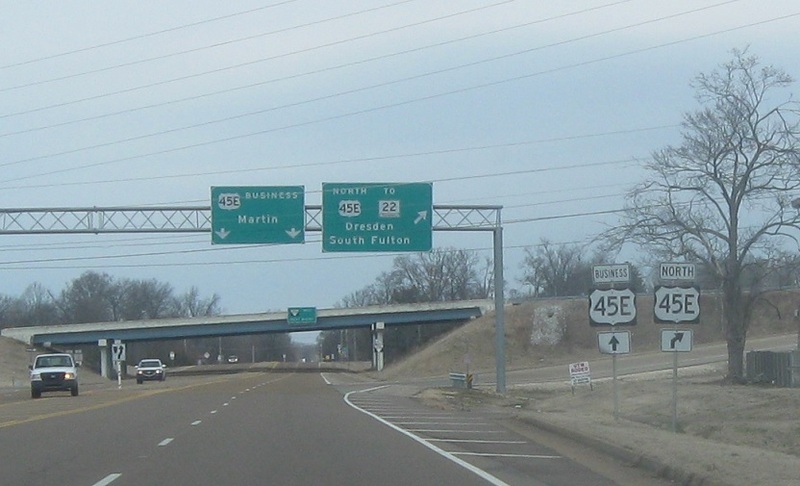 Exit for 45E/43 north around town to SR 22. 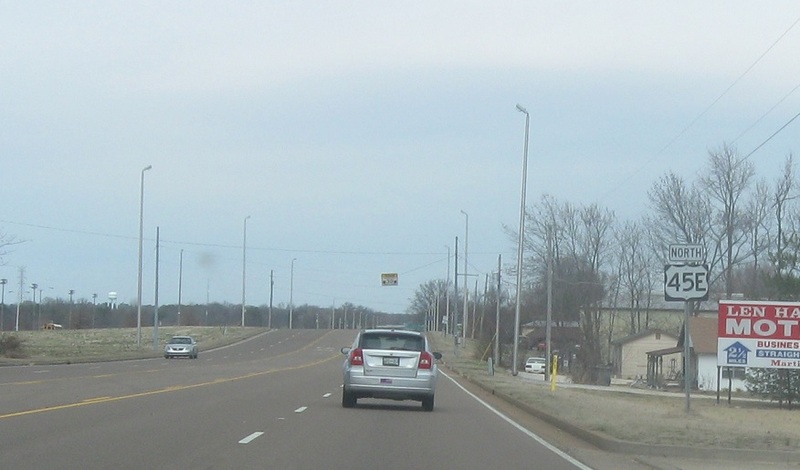 Stay straight for 45E Business. 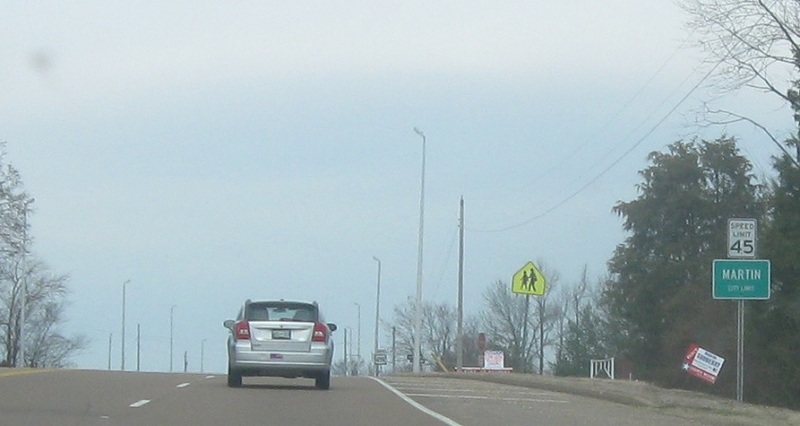 Stay straight and turn right for SR 216, a westerly bypass around town. 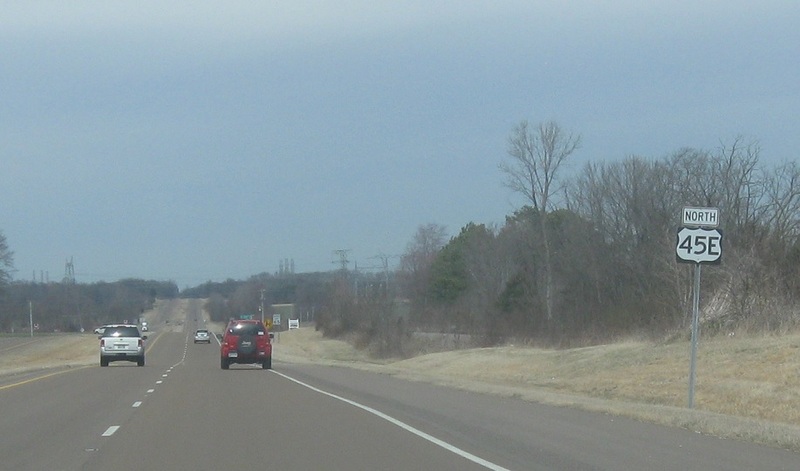 Tennessee 372 carries US-45E Business.